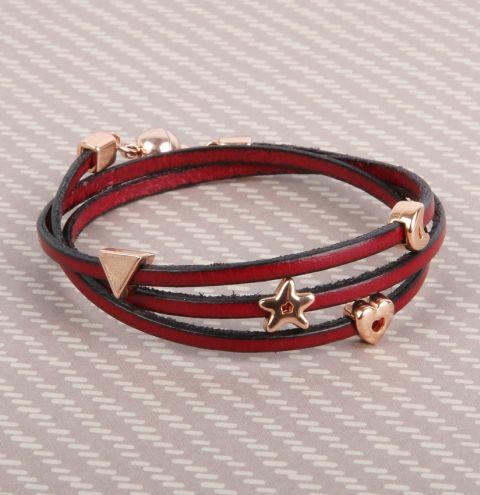 Make a quick leather wrap bracelet using new sliding charms! Wrap the leather around your wrist three times to work out the length you will need, minus 1 inch for the clasp. Slide on the charms and adjust them into position before glueing the leather into the ends. Once dry, connect the cord ends to the magnetic clasp with a jumpring on either side.